With the boom of online pastry shops and bakeshops everywhere, where can you find a unique dessert just for a change? That's a hard question to answer, isn't it? It was surprising enough that I found one place where you can find a unique dessert experience last night. My sister and I went back to Makati Ave after eating from Rub and I decided to take her around the area since we didn't want to go home yet. 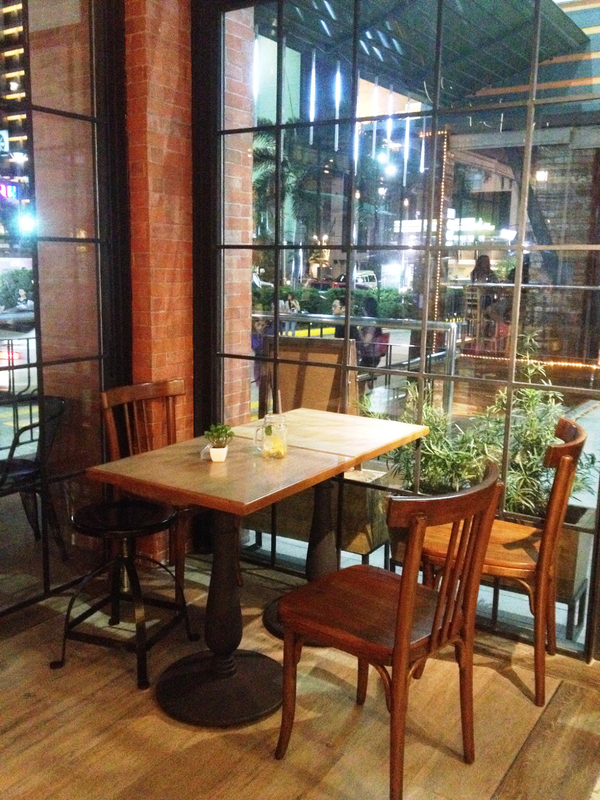 We stumbled upon Crepe Amelie which seemed to be a cozy place amidst the busy area of the bazaar at the A.Venue parking lot. She needed to finish something for work so we just decided to hang out there for a bit. 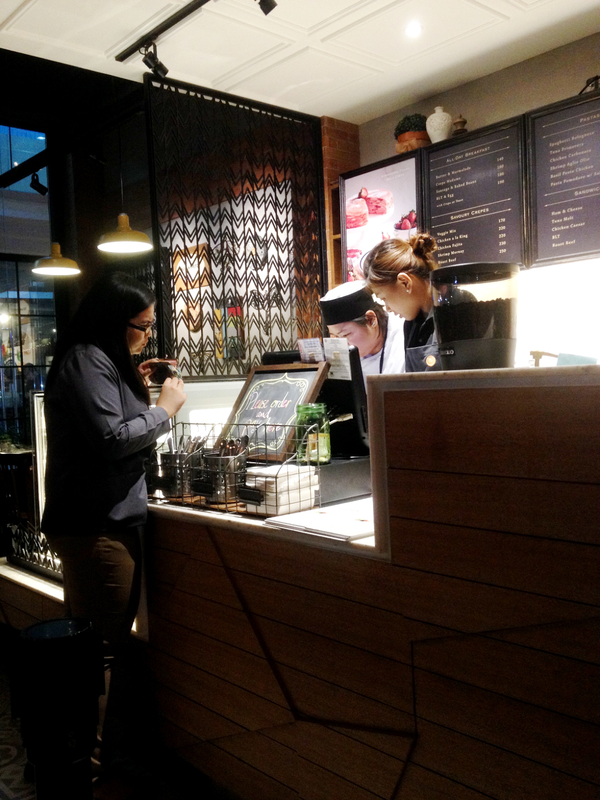 The interiors was actually what enticed us to go in. The wall facing the A.Venue parking lot has glass panels so passers by can see what it really looks like inside. Upon entering, what got my attention immediately are the: 1) cage lights, and 2) rustic feel with wooden finishes and brick walls. I asked one of the staff on duty when they opened because I didn't seem to notice them last year and she said, Crepe Amélie just opened last December. 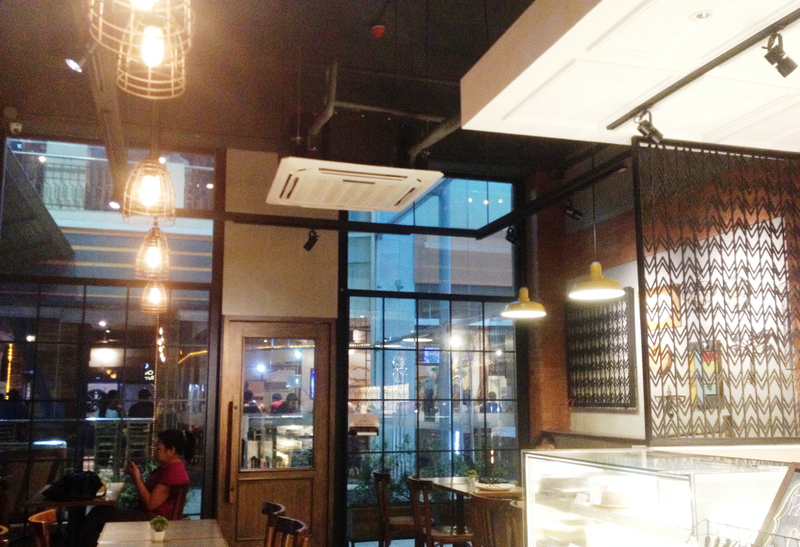 What I thought after hearing that was, I hope the food is as good as the interiors! Well, that question got answered immediately when we ordered some desserts. 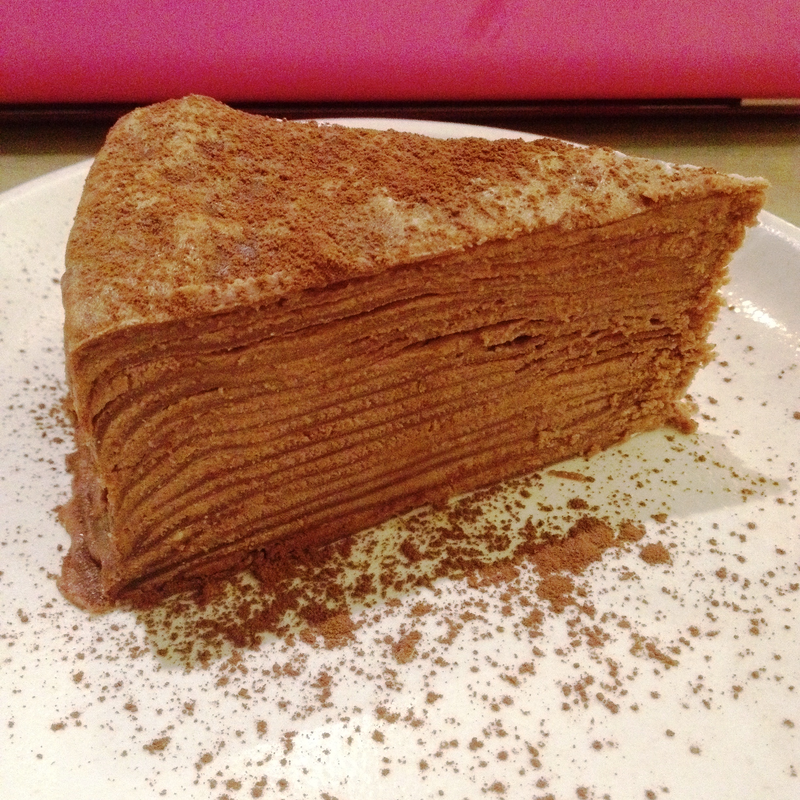 To say the least, the cakes at Crepe Amélie exceeded my expectations! They were so good (just to clarify, this isn't a sponsored post and the cakes were just super good). I thought while eating the cakes that the flavors were great but what surprised me was the cakes were made from layers of crepe wrappers. It's a first on my book. This cake seemed to be made with milk chocolate but when you taste it, it's actually flavored with dark chocolate. The sweetness was just right and I may be a bit bias to this because dark chocolate is my favorite kind of chocolate. Unlike most dulce de leches I've tasted, this one's not smothered with too much caramel per layer but with just several thin layers of caramel and a light frosting on the outside, it truly hit the spot. 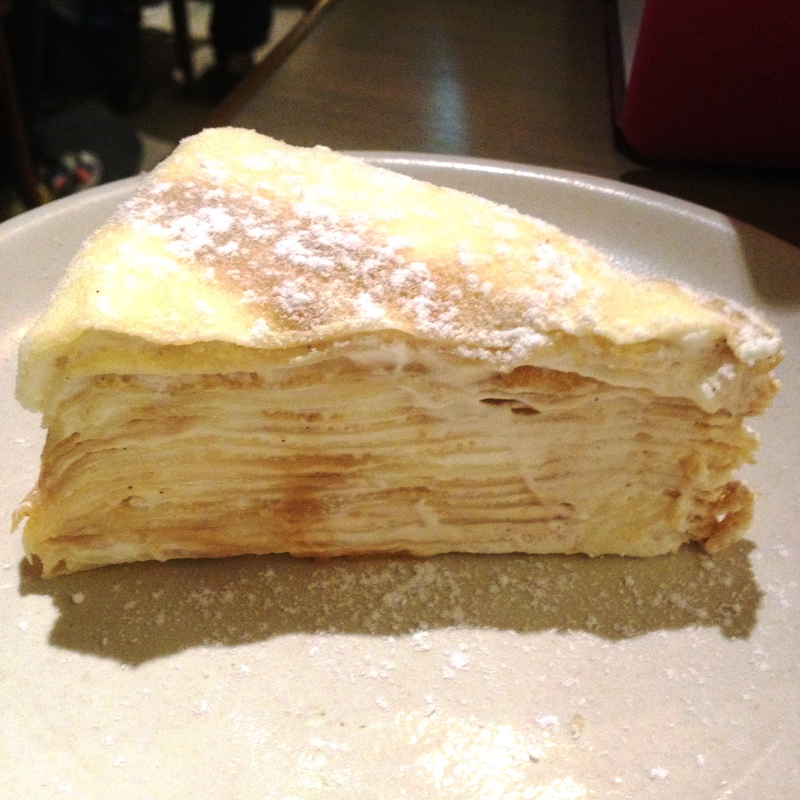 Also, the crepe wrapper layers do not break apart easily when you slice through the cake. This was my favorite of the three. 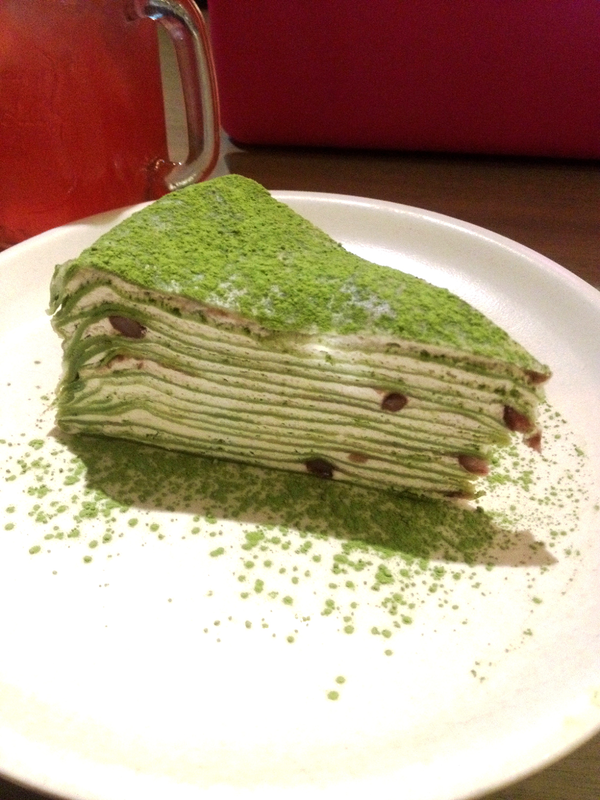 It's rare that I encounter good green tea cakes but this one was delicious! Of all the things I've raved about in the previous paragraphs, what I liked best about Crepe Amélie was the cakes were not too sweet. With the flavors that we had, it was a risk since most dulce de leches and chocolate mousse cakes have a tendency to be smothered with too much sweetness but by having the right mix of flavors, the cakes were spot on. 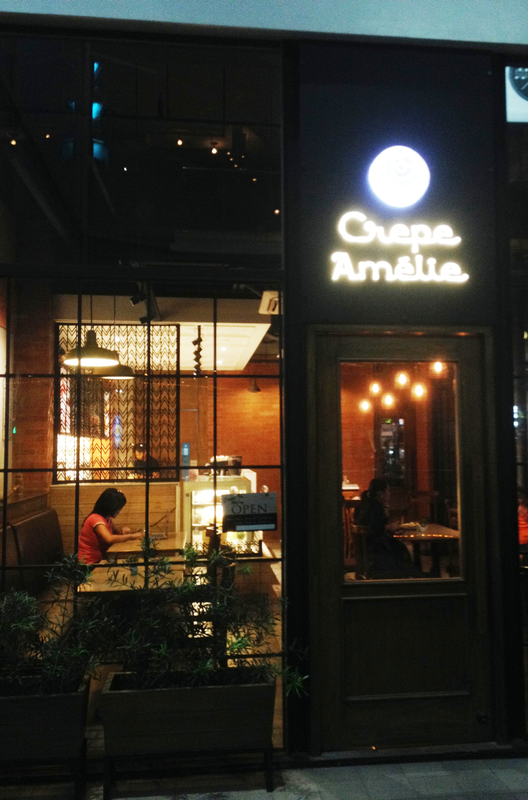 Least to say, I can definitely recommend Crepe Amélie for those of you who want to taste something new and satisfying your sweet tooth. Yup! But it was too good to pass up, we went there again last Sunday. I like Crepes. 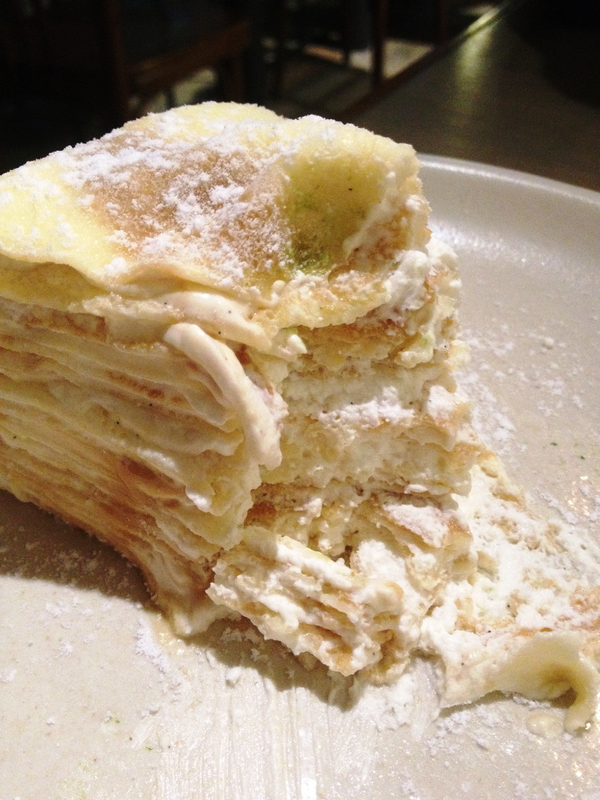 You make me want to go to Crepe Amelie today! very mouthwatering! that green tea cake, now I'm craving!